There's a widely reported shortage of artificial intelligence talent around the globe, and statistics show that women scientists are vastly underrepresented in the field. 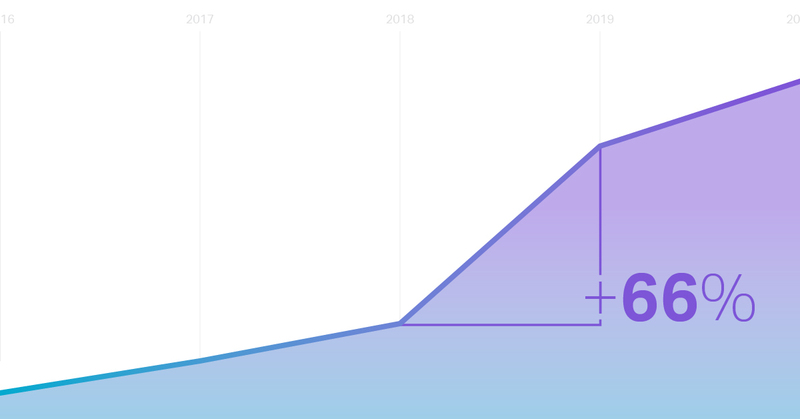 And while the number of researchers submitting to the top conferences in the field has grown steadily, the number of self-reported AI experts has exploded. 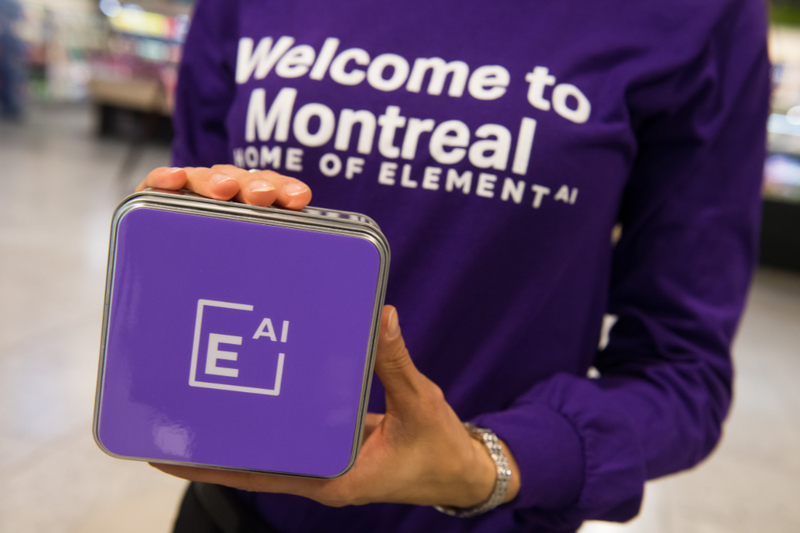 Those are some of the key results from the 2019 Global AI Talent Report published today by the office of Element AI CEO JF Gagné‏. By analyzing more than 11,000 published papers across 21 conferences and cross-referencing with social networking data, we found that the number of AI specialists around the world has increased markedly over the past few years. Yet broader surveys of the community suggest that the number of jobs has increased at a faster pace than the number of experts. 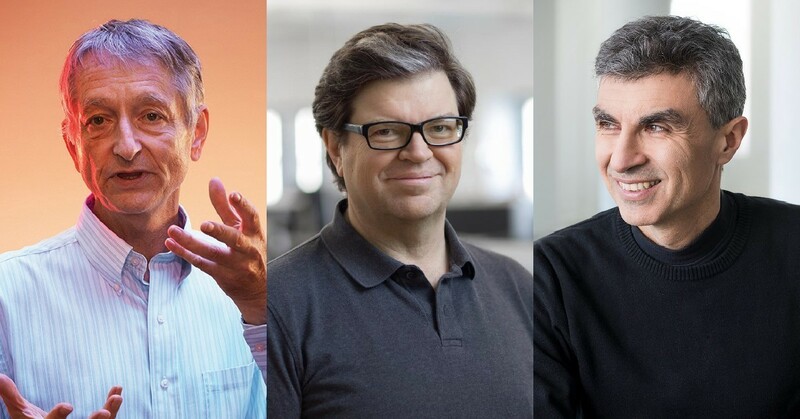 As part of our efforts to build transformative AI products, we're continually seeking out skilled candidates with expertise in AI and machine learning. 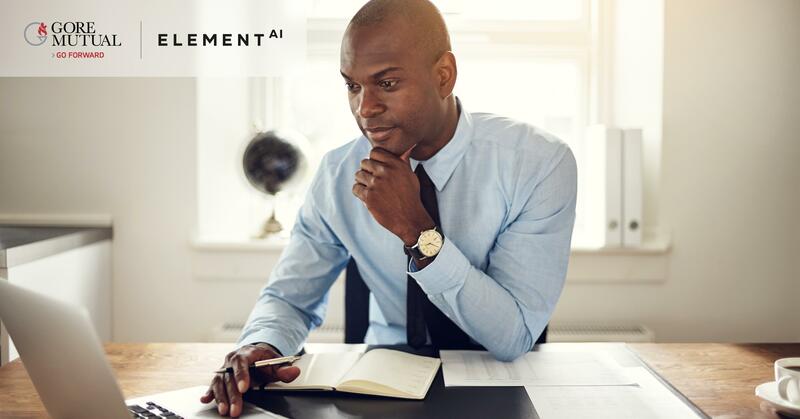 Since recruiting can be a challenge, we wanted to put some concrete numbers to the worldwide talent pool. 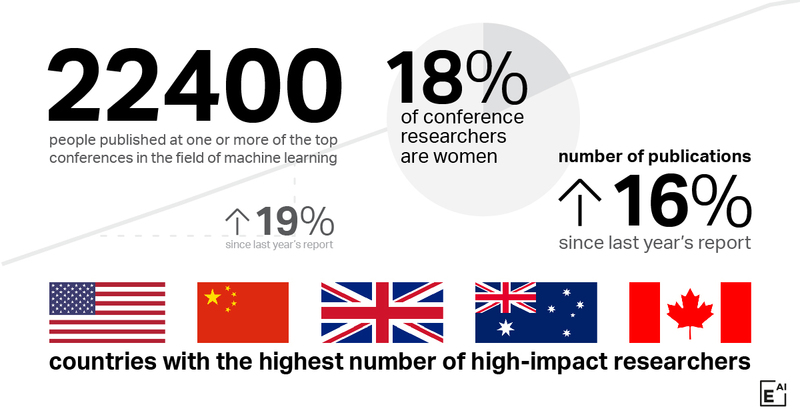 Last year, Element AI looked at three leading AI conferences and found that only 12 per cent of the listed authors for accepted papers were women. 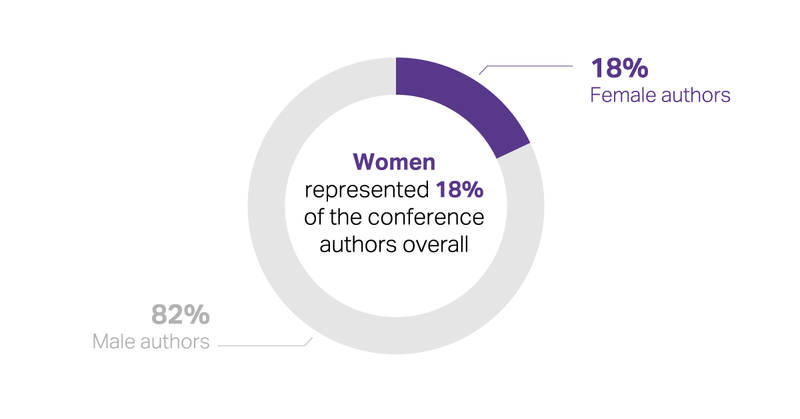 This year, we broadened the survey out to 21 conferences in the field and found that 18 per cent of authors were women. 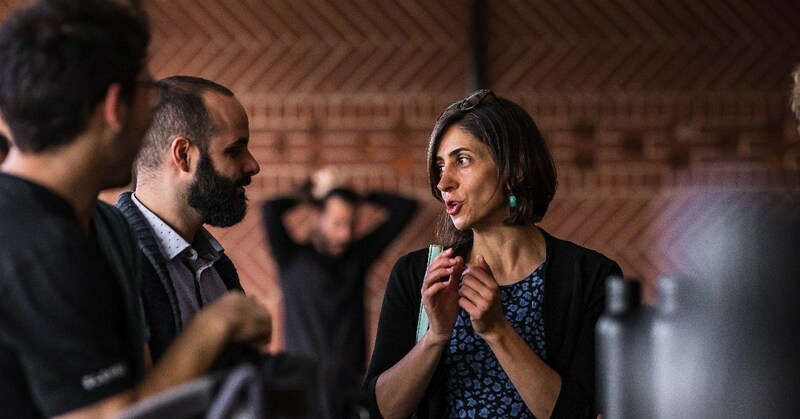 If a global talent shortage exists, one solution seems obvious: increasing the number of women in the field to something approaching equality. Yet this remains a larger problem for the AI research community. AI has seen something like an academic gold rush over the past decade, with students rushing to fill internships and post-doc positions in what was once a research backwater. Our findings show that the number of people publishing at one or more of the top conferences in machine learning grew by more than a third, 36 per cent, between 2015 and 2018. The number of credited authors rose by nearly one-fifth, 19 per cent, from 2017 to 2018. At the same time, the number of peer-reviewed publications rose to 11,115, up 25 per cent from 2015 and 16 per cent from the year before. The AI talent pool is also highly mobile, with about one-third of researchers working for an employer based in a country that was different from the country where they received their PhD. Within the field of AI, there is a select group — around 18 per cent of the authors who published papers at the 21 conferences in 2018 — that contribute research with a major impact on the field, as measured by citation counts over the past two years. These 4,000 researchers are located mainly in the United States, China, the United Kingdom, Australia and Canada. With the increase in popularity and excitement around AI, many people appear to be augmenting their own expertise with knowledge of how machine intelligence will change their particular industries or roles. The number of AI training options has also increased, including self-directed options such as those on Coursera or Udacity. Online, the number of people claiming to have the educational and skills profiles to qualify as an AI expert rose by 66 per cent from 2017, to 36,524. Self-proclaimed AI specialists were concentrated in the United States, the United Kingdom, Canada, France and Germany. Yet those are not the countries in the data that showed the biggest increases from last year: Italy, Tunisia, Israel, Estonia and Argentina showed the most relative growth. Check out the full 2019 Global AI Talent Report here.